Lifting slings are designed to be used in several types of hitches so that the best configuration can be used for handling and controlling a particular load. Lifting slings are designed to be used in several types of hitches so that the best configuration can be used for handling and controlling a particular load. 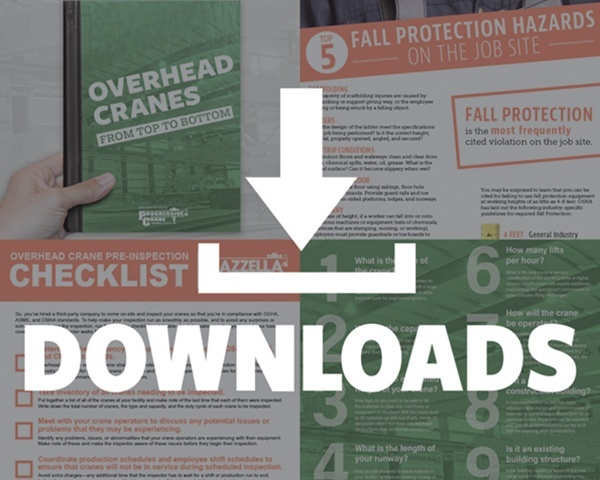 When putting a lift plan together, best practice is to always determine the best type of lifting sling and the type hitch you’re going to use prior to rigging the load. What is a Vertical Hitch? A vertical hitch, or straight hitch, is the most basic hitch used to directly connect a load to a lifting device. 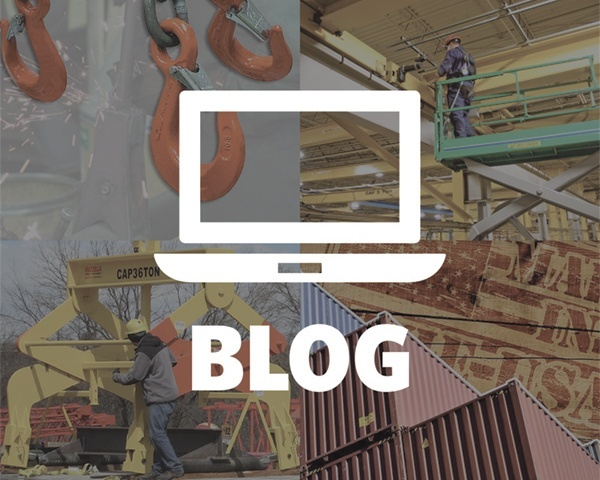 On a vertical hitch, the eye of a single chain sling, wire rope sling, or synthetic sling is connected to the crane or hoist hook, while the other eye is connected to an attachment point on the load. A lift made using a vertical hitch will utilize the full lifting capacity of the sling. 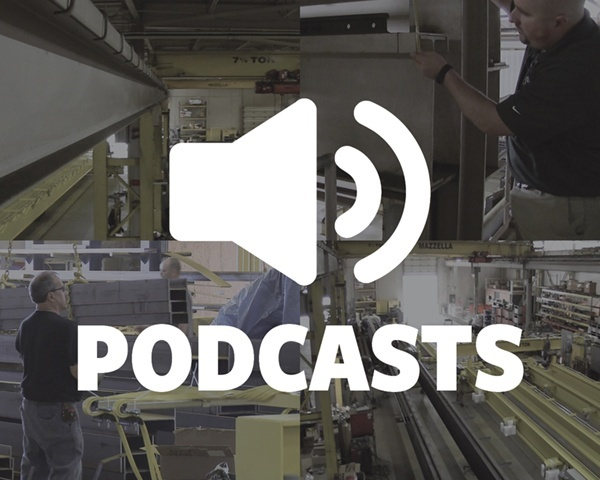 However, when performing a lift with just a single sling, a tagline should be used to provide additional load control and minimize rotation or twisting while an overhead lift is being performed. 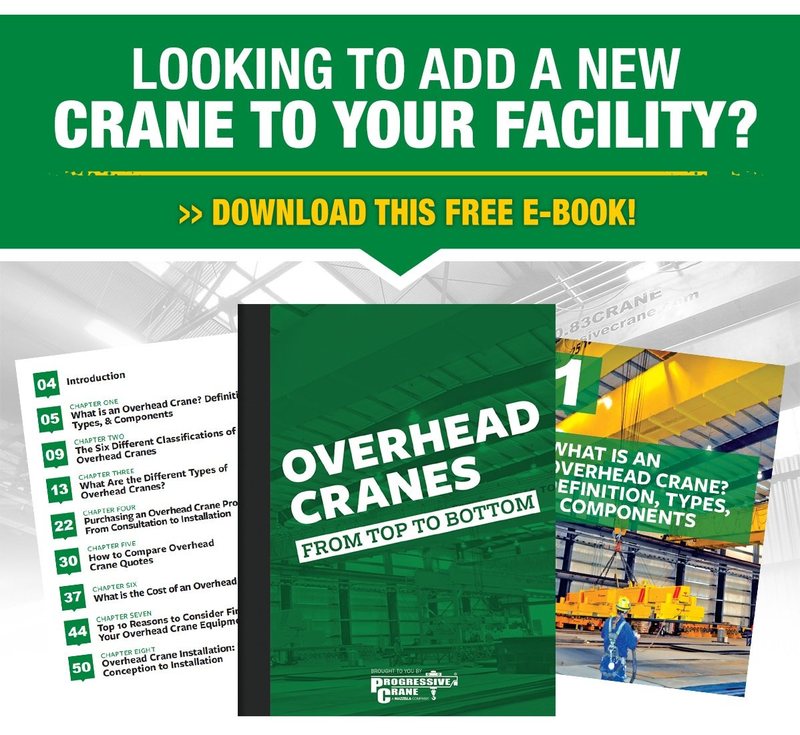 A single vertical hitch should never be used for lifting loose materials, long loads, or unbalanced loads. What is a Basket Hitch? Basket hitches distribute a load equally between the two legs of a sling. When using a basket hitch, the load is cradled by running the sling underneath the load and then attaching both eyes of the sling separately to the hook. A basket hitch has twice the lifting capacity of a single leg vertical hitch when the legs are in a true 90° vertical fashion and the D/d ratio is 25:1. This typically requires a below-the-hook lifting device like a lifting beam or a spreader bar, or two separate lifting devices. 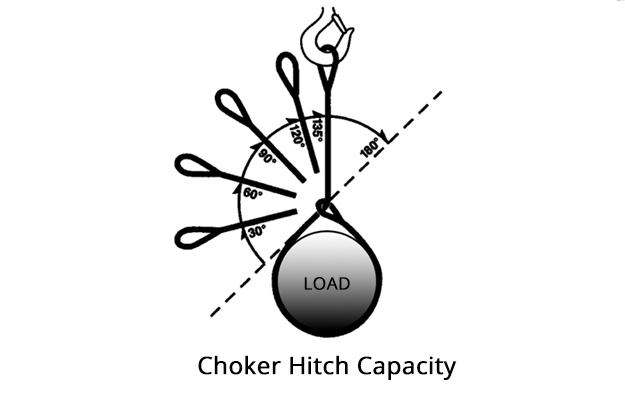 If the sling angle is less than 90° when using a basket hitch, the sling capacity is reduced. Basket hitches should not be used on unbalanced loads or loads that are difficult to balance. More than one sling may be necessary to help ensure load control. Don’t use basket hitches with loads that are difficult to balance. Double Basket Hitch – uses two slings to balance a load by keeping the slings apart. Double Wrap Basket Hitch – Similar to a standard basket hitch, except the sling is wrapped around the load twice. This provides excellent load control for loose materials and good grip on smooth surfaces. When using a double wrap on a basket hitch, do not overlap the length of the sling at the bottom of the load and keep your eye on the positioning of the sling as slack is taken up. What is a Choker Hitch? A choker hitch is used to tighten or snug a sling down securely to provide greater load control. When using a choker hitch, one eye of the hitch is wrapped around the load and then passed through itself and then attached to the crane or hoist hook. Due to stresses created at the choke point, a choker hitch reduces the lifting capacity to 75-80% of what it is capable at in a single leg vertical hitch. The least amount of capacity reduction occurs when the angle of choke is 120° or greater. Any less than 120° angle of choke can result in a lifting capacity as low as 40% of the single leg. *Percent of a sling’s rated capacity in choker hitch. Choker hitches should not be used on unbalanced loads or loose bundles because the sling will never make full 360° contact with the load. For more complete contact, use a double wrap choker hitch (see below). Double Choker Hitch – uses two slings in a choker hitch to provide more contact area to secure a load. Double Wrap Choker Hitch – similar to standard choker hitch, except that the sling is wrapped around the load twice. This hitch compresses the load and can help prevent it from slipping out of the sling. Make sure that you use slings that are long enough so that the choker hitch is effective and grips the load. The choke point should always be on the sling body and never on the sling eye, a fitting, base of the eye or fitting, or on a splice or tag. The choke hitch should always be pulled tight before the lift is made—not pulled down during the lift. There is another type of rigging method that involves multi-leg bridle sling assemblies made with two, three, or four straight legs attached to a master link. Bridle sling assemblies can be used for lifting and handling loads that have fixed lifting lugs or attachment points. The multiple legs of the sling attach to a master link and work together to provide additional support and stability when the sling hook is positioned over the center of gravity of the load. Bridle sling assemblies can have adjustable sling leg lengths to help level and control unbalanced loads. Always make sure you check each sling angle and refer to a rigging chart to make sure the sling is not overloaded based on the working sling angle. Single Leg Sling Assemblies: When 90° to horizontal (a vertical hitch), the capacity is 100% of the vertical hitch rating on the tag. Triple Leg Sling Assemblies: This configuration offers increased lifting capacities over double leg sling assemblies of equal quality and size. Quad Leg Sling Assemblies: This configuration offers improved stability but provides increased capacity only if all legs share an equal share of the load. Remember, it is always the responsibility of the end user or other designated or qualified person to inspect their rigging equipment and make sure that it is in proper working condition and rated for the specific task, prior to performing a lift. 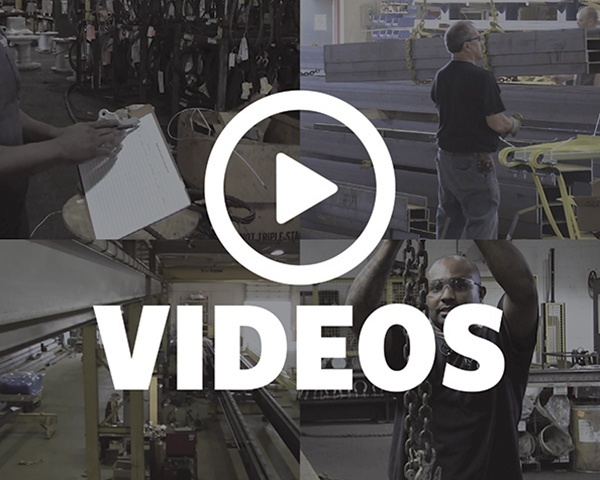 If you require a specific rigging training course for OSHA compliance for slings, hoists, overhead cranes, and/or rigging hardware, we can assist you in helping to create a safe and reliable workplace. All Mazzella Companies trainers have been accredited through Industrial Training International and train to OSHA and ASME standards. We also offer site assessments where we come on-site to observe your lifting and rigging procedures and the condition of your equipment and compare them to the applicable OSHA and ASME standards. We’ll then work with you to identify opportunities for improvement and help put a plan of action together. If you’re interested in partnering with us, contact us to speak with a local Lifting Specialist today!